I'm not sure what's happening. Things keep coming up on which we agree. This is strange and unfamiliar to me. I kid, of course. Great post. I believe your provision of clarity on this topic will be most beneficial. I am very encouraged to read this and hope to point many others to it. Thanks. God could have used any means to spread the Gospel. He chose us. If we don't, what will? It's an honest question. One I wrestle with. I honestly wonder why chose us, the most fallible of choices. You certainly touched on it a bit…but I would say, the call to love IS a call to 'evangelism'. 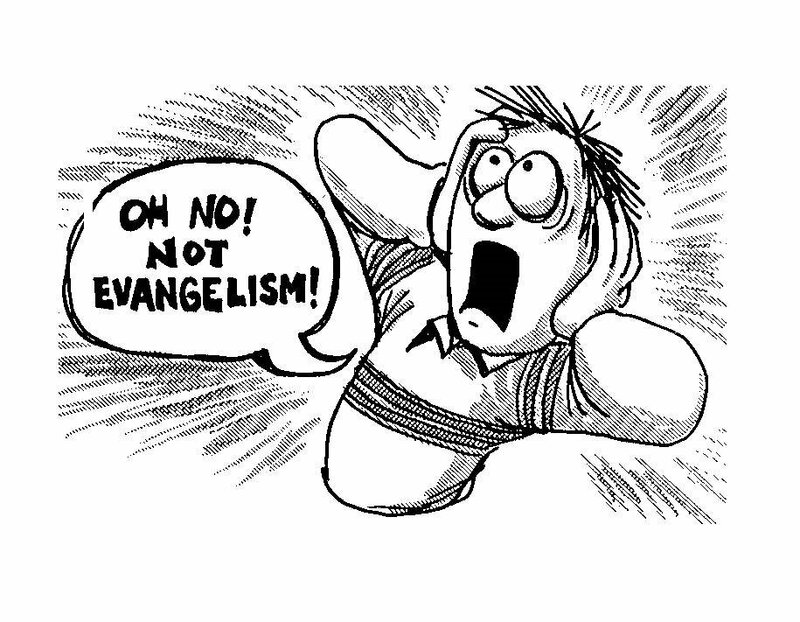 I think first we need to define what 'evangelism' is and what it is not. Also, how do you define an 'ordinary' Christian? I wonder if that in itself is a Biblical concept. The term 'missional' gets thrown around a lot, I personally prefer the term 'intentional' though I use them interchangeably. I think if we are intentionally loving people, we will see conversions happening, as you touched on. I think living in a way in which we are intentionally loving our neighbors in a way that we put the interest of others before ourselves, and in a way that makes it obvious who our God is and who we serve…I think that is the evangelism that we are called to. The problem isn't 'evangelism' as I believe it is clear in Scripture, and not just in the New Testament, but even as far back as the call of Abraham…The problem is how we've defined it and the methods we've shoved down people's throats. Just my 2 cents. Amy, Well, I've no doubt he chose us to spread the gospel. It is after all a word, a particular differentiating trait of us humans is this use of words. Chris,By "ordinary" I mean those who are not pastors or missionaries. The term as I mean it is certainly meaningful biblically speaking since there is a distinction between those who are pastors/elders in the NT. These are the ones who the letters are written to.And I agree we see evangelism in the Scriptures. No question. What we do not see is a clear command in the NT in the letters to the churches. I agree of course with your conclusion. There are certainly differences in offices and in giftings, but I don't know that there is a difference in our call to evangelize. I would say perhaps there is a difference in the way each of us are called to evangelize based on our gifts and our set of circumstances. The letters were indeed written to particular churches and leaders but were they not written for the benefit of the entire church? Though I do see your point…and honestly I think we agree for the most part. My question would be though, what is the importance of the fact that there is no 'clear commands' as you say to 'evangelize' in these letters? We both agree that evangelism is indeed in the Scriptures. And I think this holds true for all members of the Christian community. Does the fact that these commands or mandates aren't in these letters but are found elsewhere make them any less authoritative? Is the call any less real? I think though if we are truly honest, the call to evangelize (love, live your life as an example) is indeed in these letters…though not in the way that most would define the term. I still believe the key to the entire discussion is the way in which we define the term evangelism, not whether or not we should be doing it. I believe that is clear. Also note that the Great Comission was given to the Apostles, not the church at large. Fred, I'm the one that should be thanking you for the story. So 'thank you', these kinds of stories mean the world to me. Chris,Thanks for this. I have no doubt this will be *the* subject very soon. And sadly, the discussion will get very ugly. Thanks Fred. Those are some really good thoughts.